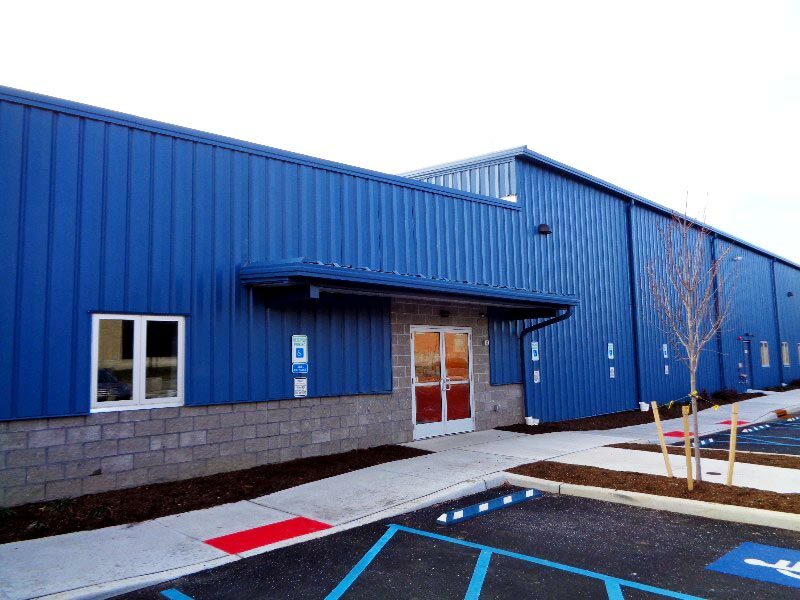 Roof Asset Management Inc. was asked to review conditions at a gymnastics center having issues with condensation on the windows and walls in two rooms adjacent to the pool area. It appeared as if the humidity levels in the pool were not completely separated from the rest of the building and that moisture may have been traveling from the warm moist areas of the building into the cold dry areas. The building was built in 2016 and was recently opened for business. The building is steel with exterior walls completed with split face block and metal panels. A single layer of 1/2 inch DensDeck Prime was installed onto the steel roof deck and mechanically fastened. A single layer of Carlisle Syntec VapAir Seal 725TR was adhered onto the DensDeck Prime using Carlisle Syntec CCW-702 adhesive. A single layer of 2 inch polyisocyanurate insulation was adhered onto the 725TR sheet using Carlisle Syntec Fast 100 low-rise polyurethane foam adhesive. Insulation layer carries an r-value of 11.4. A single layer of 2.5 inch polyisocyanurate insulation was installed onto the first layer of polyisocyanurate insulation using Carlisle Syntec Fast 100 low-rise polyurethane foam adhesive. Insulation layer carries an r-value of 14.4. Carlisle SynTec Fleeceback 100 white TPO membrane was adhered onto the roof insulation using a continuous application of Fast 100 low-rise urethane foam adhesive. The areas in question were the pool room, the room next to the pool and a third room next to the room by the pool. We will call these rooms pool room, room #1 (next to pool) and room #2 (next to #1). The temperature outside of the building at 8am on the morning was approximately 35 degrees. The temperature in room #2 was 72 degrees. This room is an area that was said to have condensation issues on the windows and walls in some areas. The condition was not present on the first day of the visit to the site. 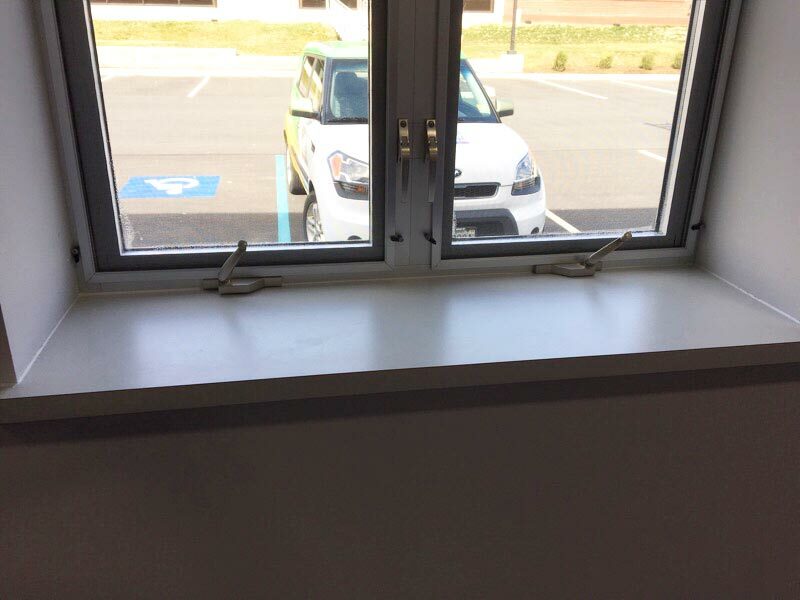 Similar temperature conditions were seen in room #1 resulting in no condensation on the windows either. 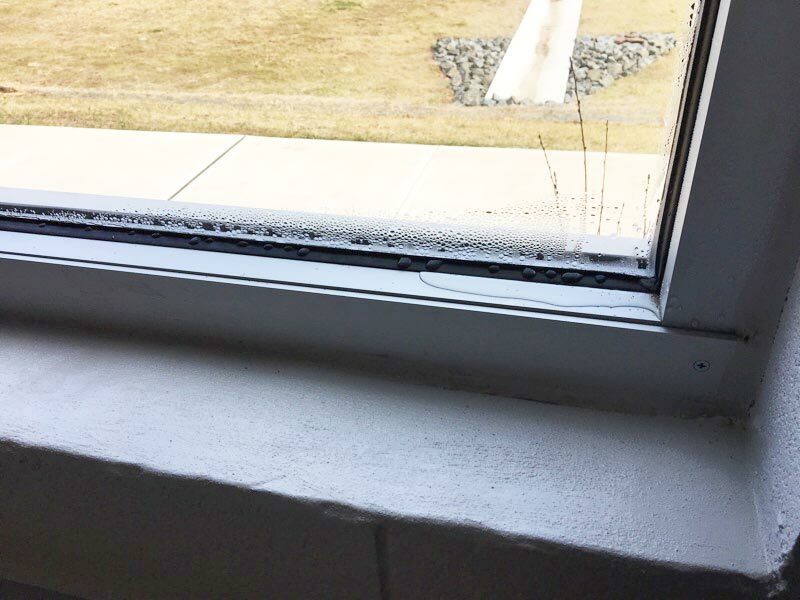 A small area of condensation was located on the corner of one window. The pool room was accessed, and a small area of condensation was seen on one window here as well. The doors of all of the rooms were closed at night and the temperature was lowered to 60 degrees to save on heating costs. This raised some red flags to the technician on site. The walls appeared to be sealed with an expanding foam along the top of the walls where it meets the steel decking. These areas were viewed with an infrared camera as well as with the naked eye. 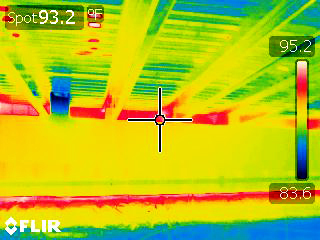 An infrared scan revealed warmer areas related to openings or voids in the space between the top of the CMU wall and the steel deck below the roofing. The areas were viewed with the lights off on one side and on in the opposite room. Light could be seen traveling from one area to the next. Two conduit tubes approximately 4” round were used as a chase for wiring from one room to the next and had large areas of light showing through them as well as a strong smell of chlorine. The moisture meter was held in this area and the humidity level was similar to the level in the pool room (approximately 66% RH). All of these conditions combined were believed to be contributing to the condensation that was said to be present on other days. 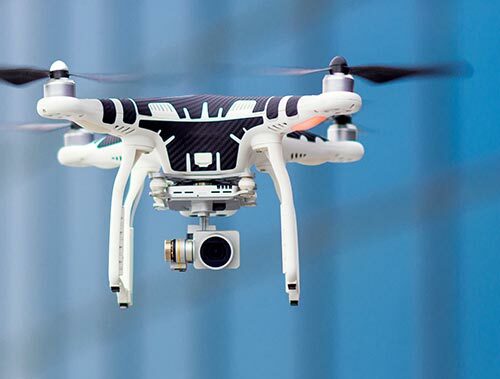 With the information collected from the visit a plan of attack was developed. We suggested to the staff that they keep the doors open to all the rooms except the pool and let the temperatures closer to the average temperature in the rest of the building, approximately 70 degrees, allowing the humidity levels and temperatures throughout the building to equalize. On the next visit to the site with a scope of repairs in mind, spray foam insulation was used to seal the areas between all of the rooms and the pool as well as the 4” pipes used as a chase for wiring. 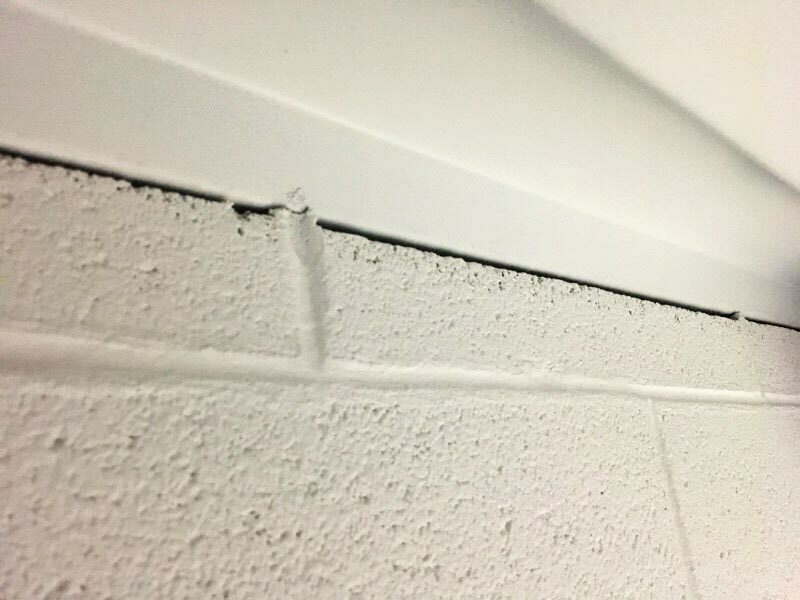 A strip of metal along with a caulk grade sealant was also installed over the foam to ensure that the areas were completely sealed. The temperatures in the rooms were set at approximately 70 degrees and the technicians left the site. 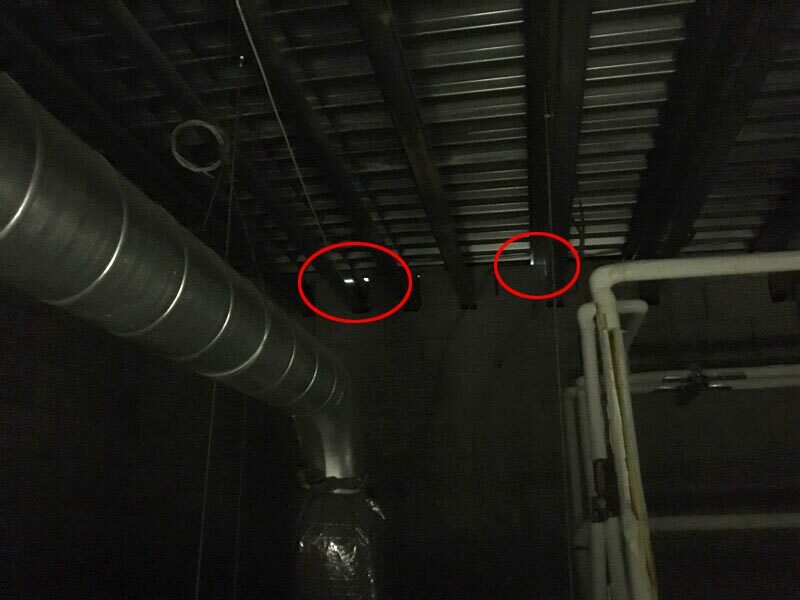 A final infrared and moisture survey was completed approximately 1 week later with similar weather conditions outside of the building. The staff at the gym had been reportedly following the suggestions of RAM by leaving the room doors open at night and the temperatures in the 70 degree range. No areas of condensation were seen in any of the previously recorded locations. The infrared scan showed the areas that had been sealed continued to hold the warmer moist air in the pool area and the humidity levels in the rooms with the condensation were much lower. It is believed that the combination of the lower temperatures at night along with the moisture drive from the pool area created a condition on the walls and windows where the dew point was perfect for developing condensation. 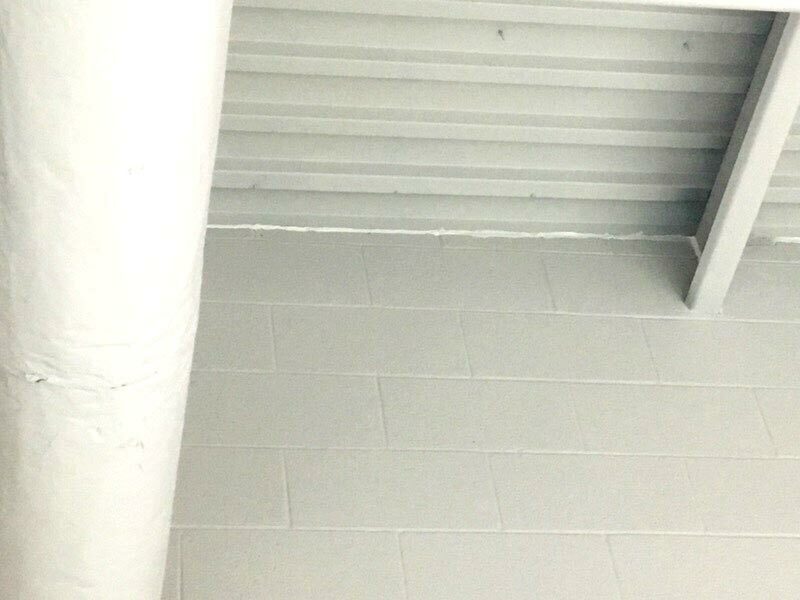 Since the work has been completed and an entire season has passed, the gym has had no issues with the condensation in the rooms adjacent to the pool area or anywhere else in the building. A properly ventilated pool area and sealed walls as well as proper temperature are key to having a healthy building when connected to a pool. Ed Mullen is an industry leading roof and infrared consultant who focuses on assisting customers in the evaluation of their roofing systems. He works with his clients to educate them about their roof system type, composition and condition. His goal is to educate his clients so that the clients can make a more informed decision about their roof systems. Ed’s customers and clients have benefited from his years of experience in the roofing industry and strong attention to detail. He shares his insights about roof systems and empowers his customers to make better decisions regarding their roofs. 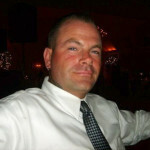 Ed has worked in the construction and roofing industries for over 20 years. His knowledge coupled with his experience gives him with a unique set of skills. He assists his customers in developing a comprehensive approach to managing their roofs as well as resolving issues with their roof system. Ed holds a Registered Roof Observer (RRO) certification from RCI Inc., and a Level One Infrared Thermographer Certification from the Infraspection Institute. He lives in southeastern Pennsylvania, but frequently travels throughout the United States for business. Roof Asset Management Inc. is a knowledge based firm that seeks to educate and inform our clients about their roofing assets. It is our mission to assist our clients in the effective roofing system management. I consent to Roof Asset Management Inc. - Roof Assessment and Consulting Services collecting my details through this form.